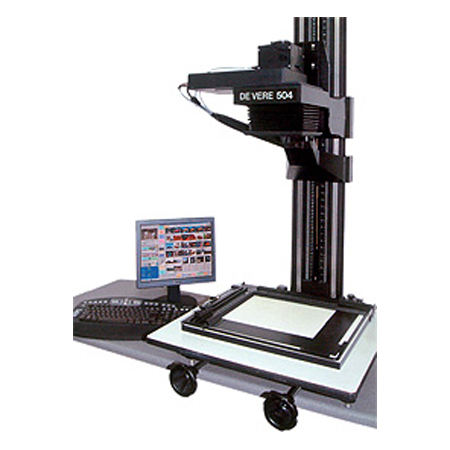 The new digital gateway, the 504 DS De Vere digital enlarger, is based on the industry standard De Vere 504 chassis. 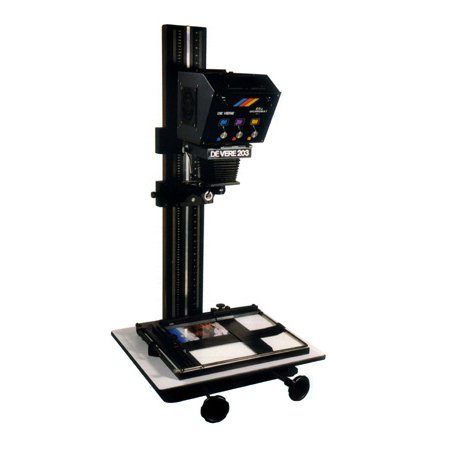 The digital enlarger system uses the latest mega pixel LCD. 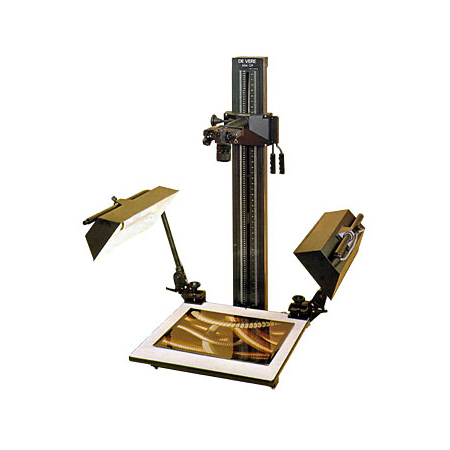 Using a combination of this and a unique 12 exposure light source the enlarger can print on standard photographic paper all digital image files of high quality up to 50 x 40cm (20 x 16″) size. Sizing and focusing are carried out in the normal way with the De Vere front of baseboard controls. Focusing light and exposure are made through a hand control with a push button, and image is selected using a new fast user-friendly system. The 504 chassis is constructed of cast aluminium giving extreme rigidity with ball raced movement for smooth effortless sizing and focusing, with a 60cm (24″) square base board. The light source uses a 24 volt 250 watt halogen lamp with shutter, which moves in sequence with the LCD panel. Exposures are controlled by pre-set calculations depending on magnification via DMD operating software utilising Photoshop. 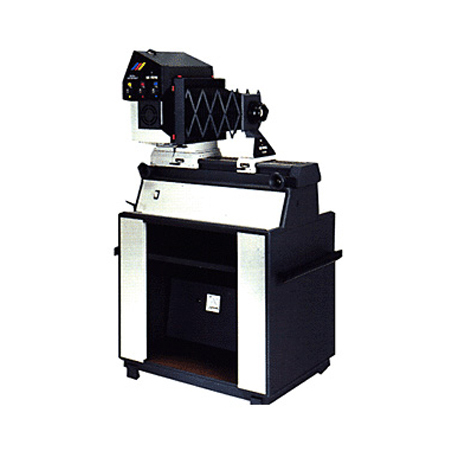 The enlarger can be networked to additional workstations remote from the darkroom. Roll easel operation is also an option. *All prices are exclusive of VAT and delivery charges.